www.skelligboats.com Ballinskelligs Watersports was the first Irish dive centre to operate totally independently and offer hardboat diving daily at affordable prices with no hidden extras. The centre is now in its eleventh season of operation and in that period has established itself as Irelands leading dive operator. We operate the largest fleet of dive boats in Ireland and are the only dive centre never to receive tourist grants, state aid etc. This means that we are entirely independent and have no restrictions on where we dive or when we dive. 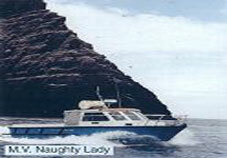 More importantly we are not obliged to cater for large numbers of divers on any given day. As well as striving to give divers a good fun filled holiday. www.louismulcahy.com Louis Mulcahy has dedicated an area at the pottery to those visitors who wish to experience the craft for themselves. 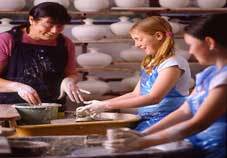 A professional thrower can be seen going through the daily routine of throwing pots, and visitors can try their skill at making a pot for them to take home. It provides excellent entertainment and it is also educational and illustrates the high skill and long training required to master the craft. Enjoy a great family day out or even just drop in for a complimentary coffee. Everyone welcome! 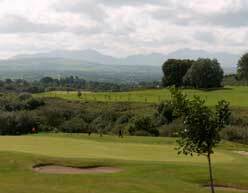 Kenmare Golf Club was founded in 1903, and was extended to 18 holes in 1993. Whilst the course can be very exacting for a good player, it is never unfair to the weak. 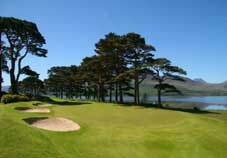 The early holes stretch along the picturesque Roughty river estuary, while the remaining holes provide panoramic views of Kenmare Bay and the Roughty Valley. 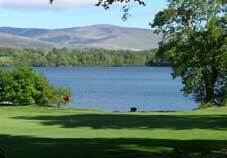 The course is just a two minute walk from Kenmare town with its many fine hotels, guesthouses and restaurants. 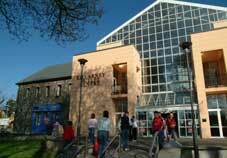 Opened in July 1999 the Killarney Outlet Centre offers visitors a unique mix of stores. The Centre is home to the famous Nike Factory Store and Blarney Woollen Mills as well as a wide range of both Irish and international Outlets. With leading fashion brands, jewellery outlets, sportswear, books and hobby stores, coffee houses, home and gift wear outlets, it is the perfect place to shop til you drop. Experience shopping that is different from traditional shopping centres at Ireland's Premier Outlet Centre, situated in the heart of Ireland's No. 1 Tourist destination. 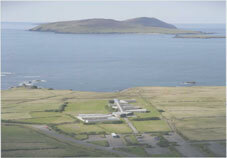 Email: adayinthebog@eircom.net Journey back in time when you visit our unique museum and boglands centre. You will be greeted by a friendly guide who will bring you through our various attractions and will be happy to answer any questions you may have. It’s ideal for tour groups, school tours, individuals or families. Our museum is alive with the sights, sounds and smells of an actual bog. Complete with acutal bank of turf, with running stream, authentic artifacts spanning several centuries, flora and fauna, birds, insects and implements used in the bogland harvesting. Also visit our audiio visuall room, antique farm and bogland machinery, pets and widlife area and craft and gift shop. There is also a restaurant with homemade traditionally cooked snacks served all day.